If you’re been looking for a more affordable way to get behind the wheel of a performance luxury car, then take the time to explore all the used car deals available right now near Shingle Springs at Mercedes-Benz of El Dorado Hills. From low APR financing rates to low down payments and affordable prices, we’ve got it all! And when you shop at our dealership, you can always be sure to get a good deal on your trade-in. Get the process started now by applying for financing online, and then come see us in El Dorado Hills! 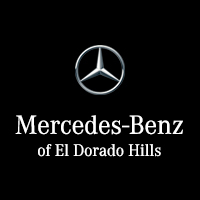 The team at Mercedes-Benz of El Dorado Hills has all your used luxury car needs covered near Folsom, and when you need a short-term lease on a premium model remember our executive loaner vehicle specials as well. As a member of The Von Housen Automotive Group, people throughout greater Rancho Cordova know they can count on us. So come see us today, or give us a call anytime with questions!